The future of banking will come from a 200+ year old bank. Hear Brad Miller, Head of Global Digital and Cloud Technology at Citi, talk about what Citi learned from working with Pivotal and our products. Brian Gregory talks with Stu Miniman & John Troyer at Cloud Foundry Summit 2017 in Santa Clara, CA. Running IT for a bank is not for the faint of heart. The job requires a unique mix of creativity, agility, pragmatism, and plenty of grit. After all, you're tasked with navigating generational changes like cloud computing and distributed systems. How can you capitalize on these seismic shifts and gain market share? 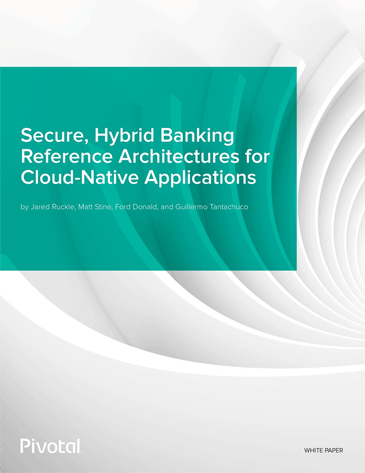 By becoming a cloud-native enterprise. Pivotal Cloud Foundry (PCF) is a popular tool that can help make this happen. How Important is Platform and Cloud Portability? Join your host Michael Coté of Pivotal in a conversation with Holger Mueller of Constellation Research and Brian Gregory of Express Scripts International about why multi-cloud capabilities are an important differentiator when choosing an application framework.